Q: I'm trying to stain a yellow-poplar entertainment center that I've sanded down to 320 grit; the surface is extremely smooth. I used an oil stain and it is extremely blotchy. Is there any technique I can use to correct this? A: The problem you are experiencing is due to a special characteristic of wood - it is called tension wood and only occurs in hardwoods. This special wood develops when the tree isn't growing straight, and is being pushed by external forces - by wind, another tree, or even heavy branches. Where there is tension wood, there is more cellulose in the wood. Cellulose is quite absorptive, so that in tension wood areas the stain will penetrate and be absorbed quite easily. In non-tension wood areas, penetration and absorption will be minimal. When you wipe the stain, you will notice an obvious appearance contrast between the two areas, tension wood and non-tension wood. Further, cellulose fibers are weaker and do not machine well, so often there will be a little fine fuzzing in the tension wood areas. This fine fuzz will also absorb stain more easily than the rest of the wood. The result of either or both of these factors is a blotchy appearance. First, make sure that you use sharp (that is, fresh) sandpaper. Fresh paper will have sharp particles that will cut the fibers cleanly rather than rubbing the fibers and leaving fuzz. 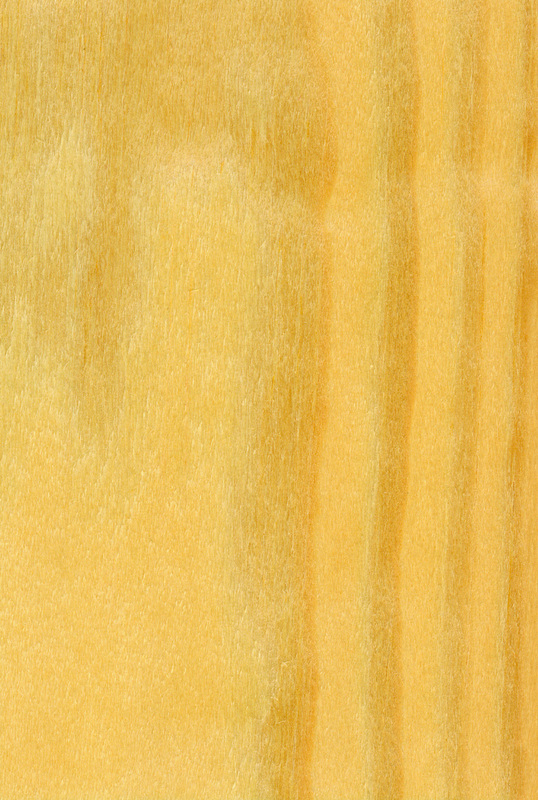 Second, avoid wet lumber (more than 7.5 percent MC), as wet fibers are more prone to fuzzing. Third, consider the use of a seal coat (wash coat or sizing) before staining to seal the surface and to prevent deep penetration of the stain - that is, after this coat is applied, then the stain will penetrate quite uniformly, giving a uniform color.